What emerged years later, after he landed in America as a refugee with wife and teenage daughter, was a volume of Vietnamese writings that otherwise might have vanished. "What he created – it's incredible and valuable," said Thai Strom, a Californian journalist who views Vo as a mentor. "The value is the sum of knowledge and experience – what he remembers, what he dug up, what he discovered from the minds of so many important people." 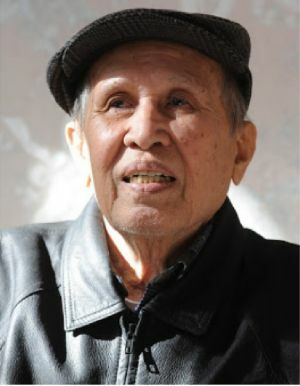 Vo, a prolific Vietnamese writer himself who made a living crunching numbers for the Los Angeles County Employees Retirement Association, has died in Santa Ana aged 89, although in Vietnamese culture he was considered to be 90 based on the lunar calendar. Among Vietnamese Americans, Vo is seen as one of the diaspora's towering literary minds, someone with an eye for the melancholy of the era, a writer who captured the rich detail of the culture, Vietnamese village life and the war itself. But it was the exhaustive collection Van Hoc Mien Nam, Tong Quan, an overview of South Vietnamese literature from 1954 to 1975, that endeared him to fellow expatriates. The book featured the work of more than 200 authors and documented the period's artistic and literary movements. Its 1999 debut was followed by six other books exploring genres such as poetry and plays. Born Doan The Nhon, Vo grew up in Binh Dinh, a province in central Vietnam. By the time he was 20, he had joined the anti-French revolutionary movement but became disenchanted with communism and went to work in the Ministry of Information for the Republic of Vietnam. Vo Phien became the pen name he used for the poetry, novels, short stories and essays he wrote at a furious pace. Never using a computer, he wrote in Vietnamese by hand while his wife typed his manuscripts. His first works were published in Vietnam in the 1950s, when the first Indochina war was being fought between the French government and the Communist army. When Saigon fell in April 1975, Vo fled with his wife and teenage daughter, eventually arriving in America. Two adult sons, both doctors with families to support, stayed behind. A third remained in Australia, where he had been studying as an exchange student. From a refugee camp, Vo and his family moved to Los Angeles, intent on collecting wartime literature from Vietnam. He tracked down fellow refugees who might have brought magazines, books and newspapers and scoured microfilm at libraries in France, New York and Washington. "But it was so very difficult," his wife said. "Almost everyone left Vietnam with just the clothes they were wearing." Van Hoc Mien Nam, Tong Quan was finally published in 1999 and quickly became a staple in Vietnamese households. It has never been translated into English.